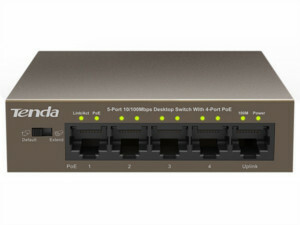 Enables synchronous delivery of data and power via a single Ethernet cable (Cat.5 or better). The output power per port is up to 15W, which can serve as an outlet for a PoE device (powering via RJ45 port). You can connect the PoE15F to an IEEE 802.3af compliant device, such as a wireless AP, IP camera, IP phone, etc. Ideal for reducing installation cost and improving network performance.